Like every other young woman with an alarming obsession with interest in the British royal family and a dream, I wanted to marry Prince Harry. I taped his pictures to the walls of my childhood bedroom, persistently tried to get into his favorite clubs when I studied abroad, and in the off-chance that Harry was on any dating apps in London, well, I was certainly on the lookout. And then, mere months after I moved to the British capital, His Royal Highness announced his engagement to... another American? Many friends reached out to offer their condolences, of course, but I was far from weeping over this news. For starters, Meghan Markle is an angel and I've basically spent my whole life training to stalk their royal wedding. But beyond that, I took this engagement as a sign — a sign that my own Harry is out there, too. And as one gentleman on Tinder would soon remind me, "Americans are a thing now." Yes. "A thing," I am. So, with this fresh hope and determination to find myself a suit-wearing, tea-drinking British fiancé (titles encouraged, but not required), I updated my Tinder bio to read, "Just looking for the Harry to my Meghan Markle. But really, I'm American and would like to be married by next spring." I should start by noting that Mattie was also a ginger. So, check that box on the list of similarities to Prince Harry qualities I could see in my future husband (I know I've always said redheads aren't my type, friends, but the circumstances have shifted!). He also came with a lot of questions. Like, a whole lot of questions. I'm guessing Mattie has a friend who jumped into marriage a bit too soon, as he seemed to have genuine concerns about my hunt for a Harry. Thanks for looking out, Mattie. But you see, my visa expires in 2019, so I really don't have time for this little quiz if I'm going to find a husband and plan a wedding before then. Oh, and peanut butter chocolate malts are my favorite kind of milkshake (in case you were wondering). When I got Mohammed's first message, I thought to myself, "Women of America, it's our time to shine." But I don't like when my future fiancé makes racist implications about what sold Harry on Meghan "Merkal," so this probably wasn't meant to be. Loz was a go-getter — I like that. 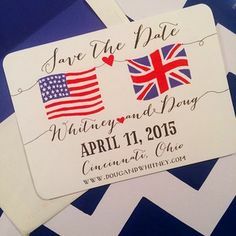 Naturally, I picked out some save-the-dates to run by him (I mean, it's his wedding, too, you know?)... but Loz never got back to me. Weird, right? "A" for effort, Lewis, but I'm not interested in your humor and emojis. I need a Harry and nothing less. Yes, Kieran. This is all about pastel bridesmaid dresses for me. Well, that went downhill fast. And not because of the suggestion that all Americans are interchangeable, I can get past that. But this "What's the point of a billion a year royal family" deal is not at all my style. To give you a sense of how strongly I side with #TeamRoyals, I once said that I would cut my own arm off if Kate Middleton needed me to (still would, BTW!). Kieran was clearly not the man for me. Ivan's main picture showed him wearing a suit at a horse race, which was definitely on the right track (see what I did there?). Unfortunately, he didn't seem to be catching onto the fact that I was here for a husband, not small talk... Onto the next one. Now, initially, I'd hoped my bio update would lead to a flood of proposal GIFs. When it didn't, I decided to personally confirm that yes, all of these men wanted to put a custom-designed-and-ethically-sourced-from-Botswana ring on it. As Dan quickly proved, that may not have been the best idea. Intense as in you're constantly hounded by the paparazzi at ribbon-cutting ceremonies, Douglas? If so, I totally get it (why do I feel like this isn't what he means, though?). Oh my gosh, you guys. Things are looking up. Excuse me, Andreas? You're not British? We can't get married at St. George's Chapel? I feel like our entire courtship was a sham. So, I guess it's safe to say this little Tinder experiment didn't (really) end with men offering me engagement rings, dual-citizenship, and a list of royal duties. But don't think I've lost hope! If Meghan Markle can climb the ladder from briefcase-holding-honey on a game show to UN women's advocate and the future Duchess of Sussex, then so can I. Remind me to put a hold on St. George's for the month of June. Just in case.